Expires in 4d . Last validated 4d ago . Used 39 times. @DasLabby Please enter this code in the promo code field to get your discount of 21% off. 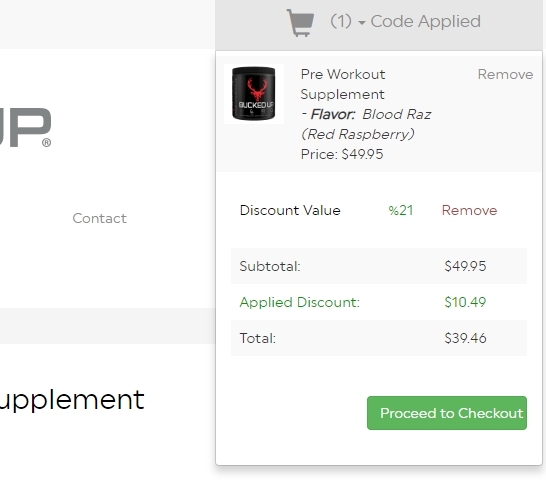 @DasLabby Enter the code at checkout in the promo code field. ERNESTO I am validating that this deal works as described. 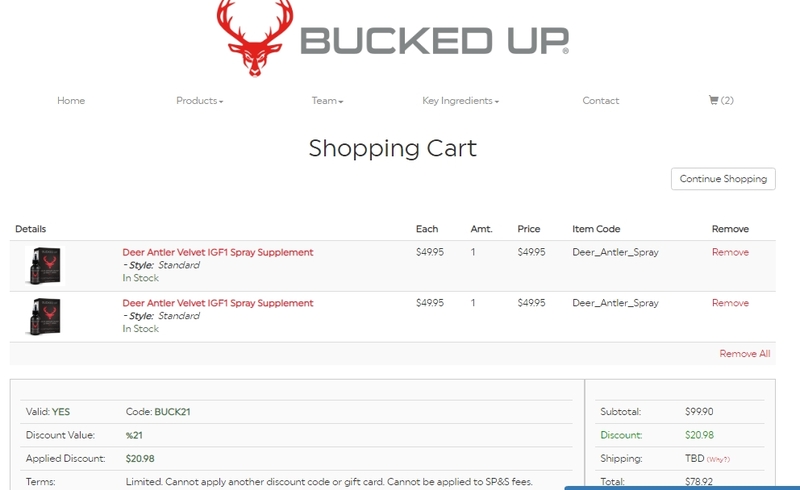 Get 21% Off Bucked Up Products (Site-Wide). Simply enter the code during the checkout process to apply this discount, there may be some exclusions that apply to this deal.